Internal 4"x4"x4" or 6"x6"x6" or 8"x8"x8"
Lab. 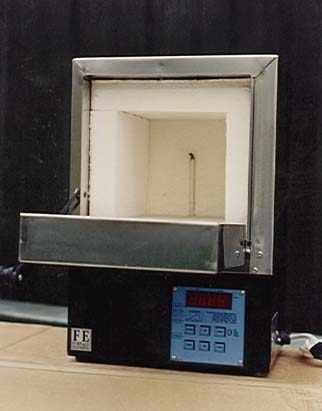 Furnace , Comes in the following sizes internal 4"x4"x4" ; 6"x6"x6" and 8"x8"x8" , No exposed elements which makes this small furnace ideal for loss wax casting and dental lab. work. Variety of controllers are available. 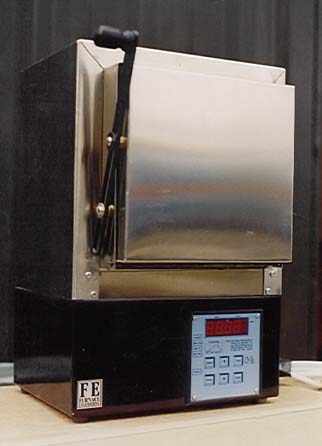 This is much similar to the well known Kerr inlay furnace , but only with a thicker wall and a electronic controller , which will save your elements from over heating.